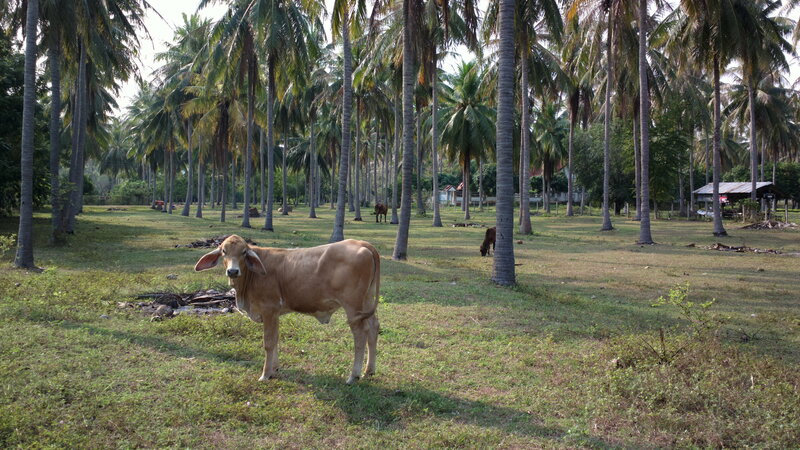 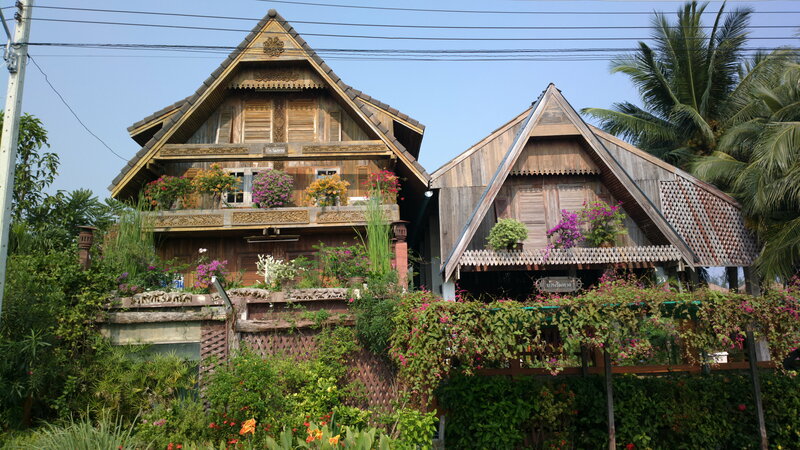 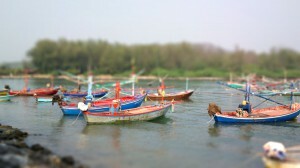 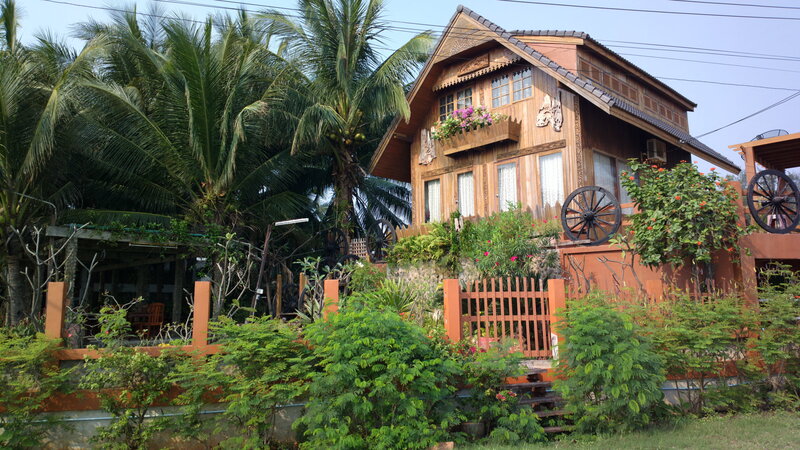 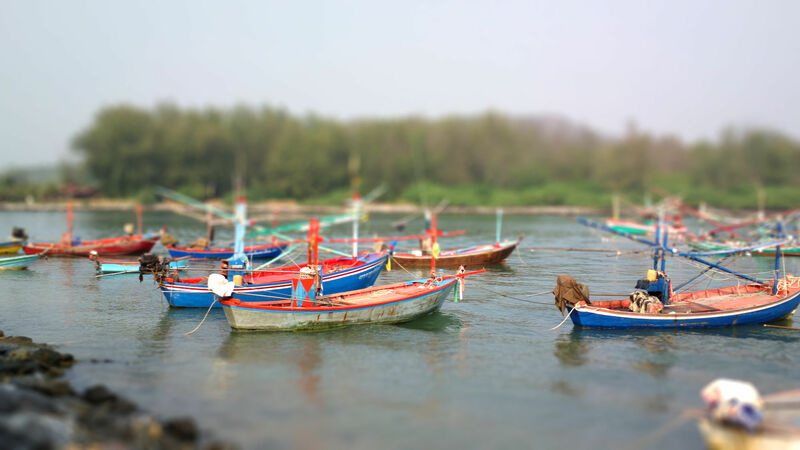 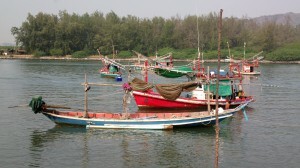 Pranburi borders Hua Hin to the south and offers many of the same charms as Hua Hin. This is the last of several buildings built on a very large lot near the coast in Pranburi, Thailand. 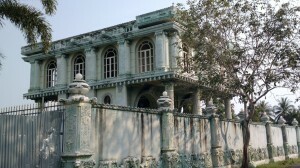 There were several buildings and many statues decorating the lush gardens. It is said that a billionaire built it for his mistress and the two were both later killed by his wife. The estate was left abandoned and fenced for years but recently they have torn down several of the buildings and removed the statues. 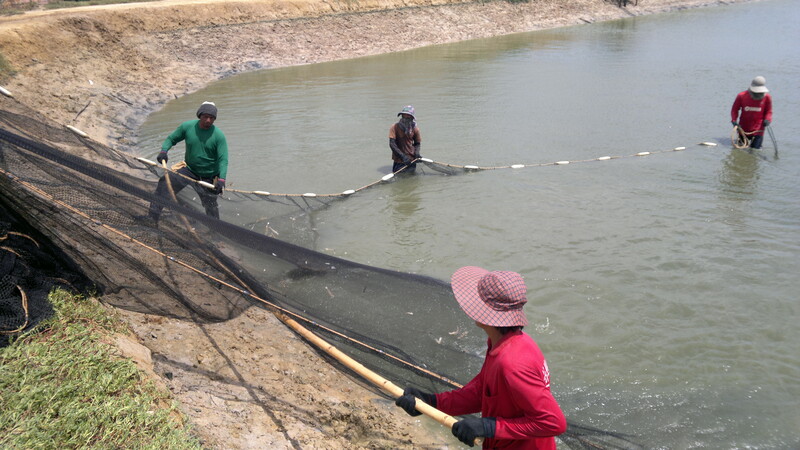 Seining a shrimp pond near the Sam Roi Yot National Park in Pranburi, Thailand. 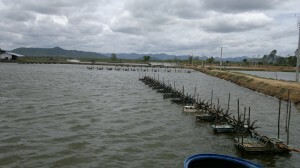 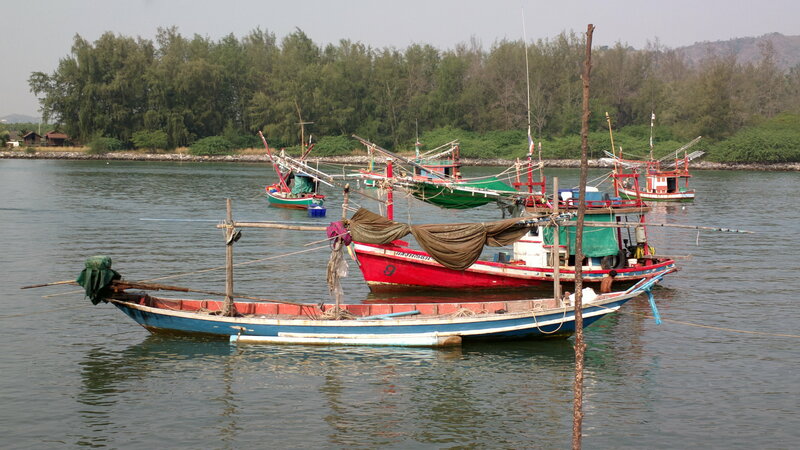 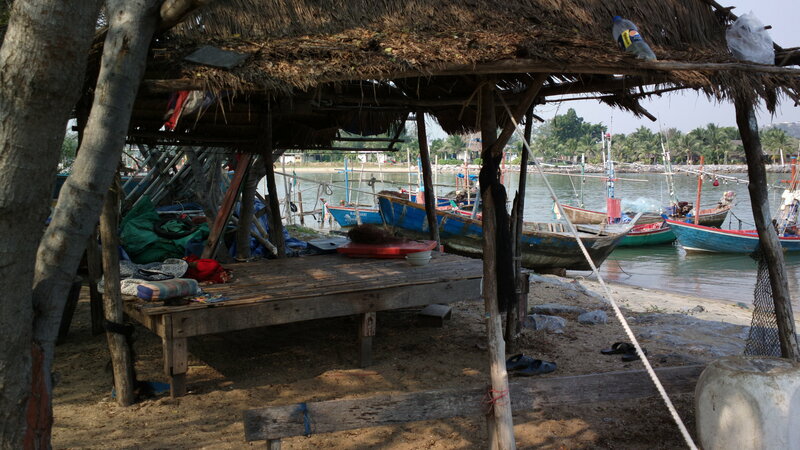 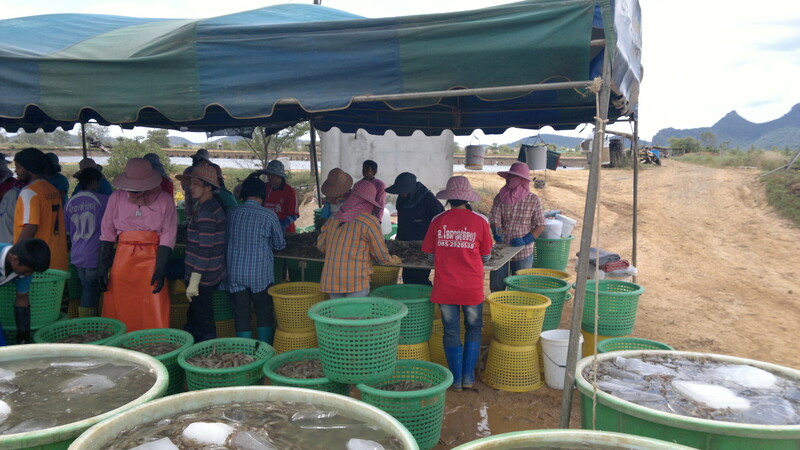 There are many shrimp farms in and near the national park. 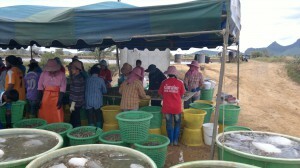 Sorting and grading freshly caught shrimp. Once sorted, these shrimp will be frozen and sent to markets in the US and Europe. Next stop is a 10-wheel truck to the international distributor. 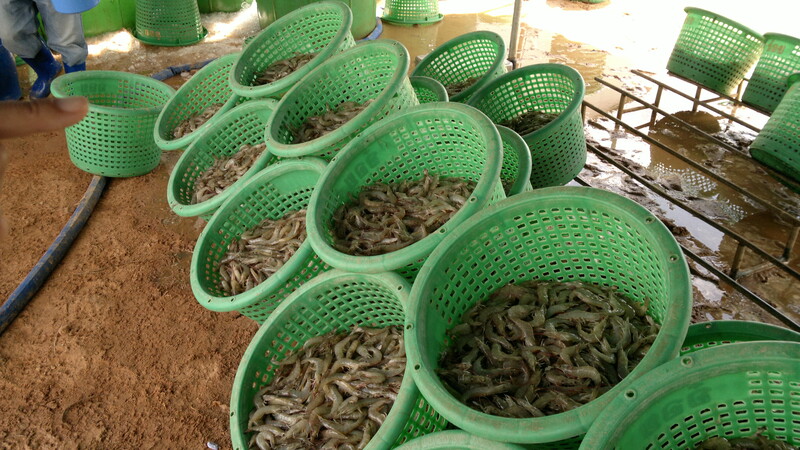 A shrimp pond. The floating things in a row are aerators for when the demand for oxygen in the pond gets high. This statue of Chao Mae Kuan Im on road 1020 between Pranburi and Dolphin Bay. 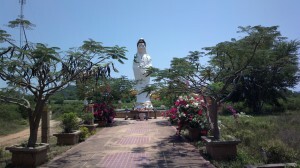 Guanyin is the goddess of compassion and very popular among east Asian Buddhists. Statues and shrines to her are very common throughout east Asia. 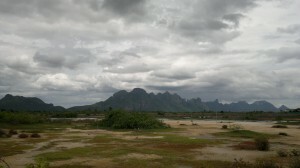 There is also a geocache at this site.